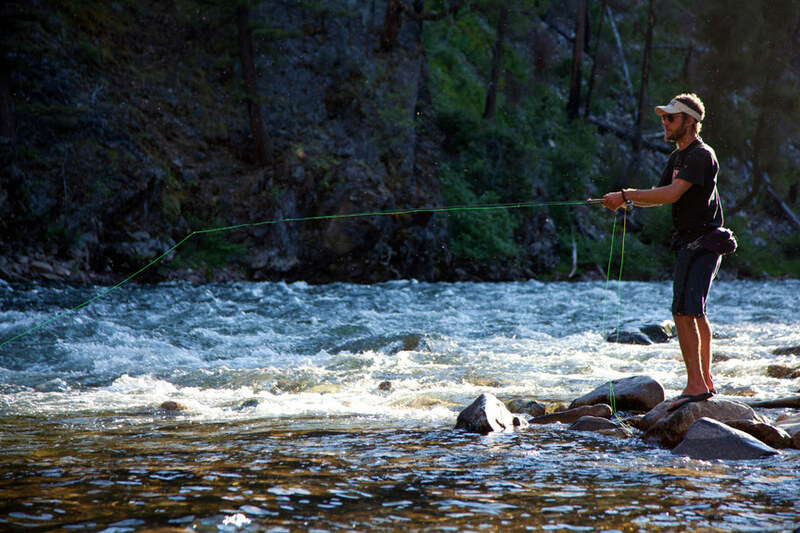 When’s the last time you were thinking about planning a trip to Idaho? Exactly. You weren’t. But we’re going to let you in on a little secret. 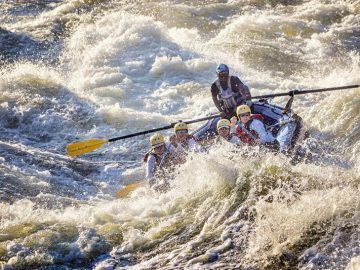 Idaho has got it all, and we think it’s one of the most underrated places in the U.S. for adventure travel. Sure, Idaho gets to claim a little slice of Yellowstone National Park, but that’s just a taste of all the greatness you can find there. 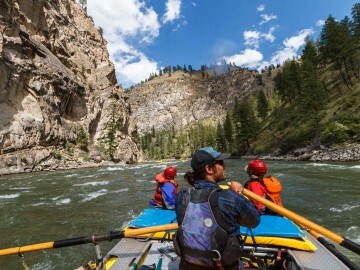 Have you ever heard of the Frank Church River of No Return Wilderness? 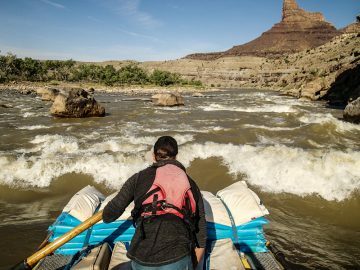 It’s the largest contiguous wilderness area in the lower 48 and has approximately 2,616 miles of trails (that’s a lot of backcountry to check out!). 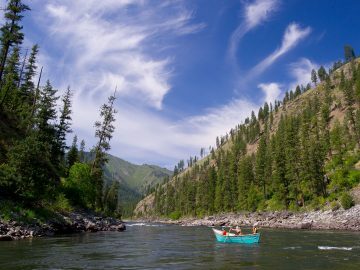 And while that’s impressive, Idaho also boasts more than 3,000 miles of rivers, including the Salmon River, which is the longest free-flowing river in any state. 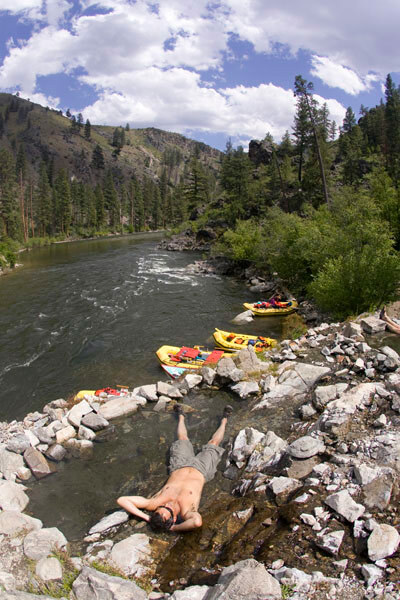 The whitewater gods were kind to Idaho. In the northern part of the state, crystal clear lakes rule the terrain. In the heart of Idaho, you can find deep gorges, towering mountains and rivers running so clear that you can spot fish 50 feet away (that makes for some darn good fishing). To the south, thundering waterfalls, hot springs and caves await. 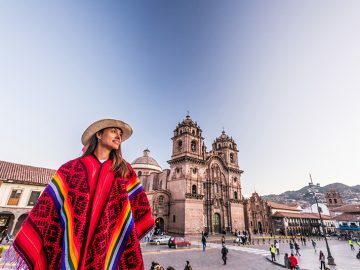 Add to that, a night sky filled with stars, the widest variety of wildlife in the country, and all the hiking, biking, and rafting in between, and you’ve got yourself an adventurers’ paradise. Imagine yourself in some of the best and most pristine wilderness that still exists today. 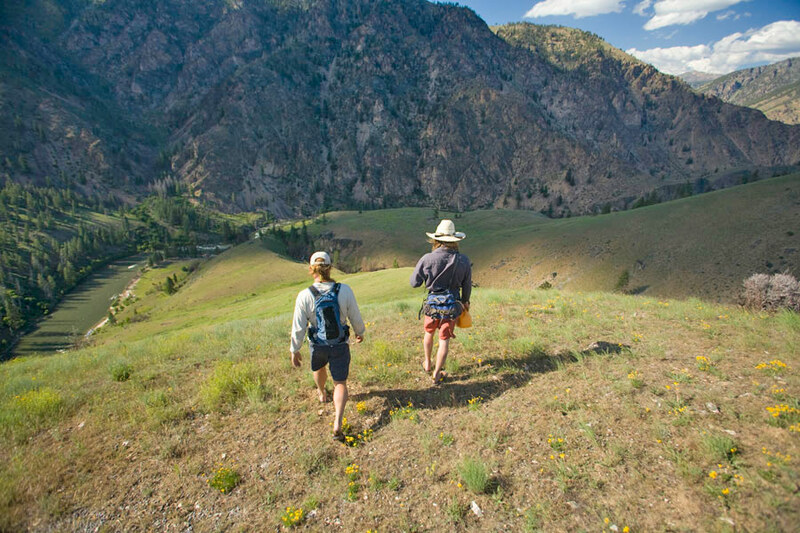 Idaho is wild, untamed and rugged. It’s that little piece of outdoors that’s been untouched and left for us to experience in all of its glory. And isn’t that what we’re all trying to find? 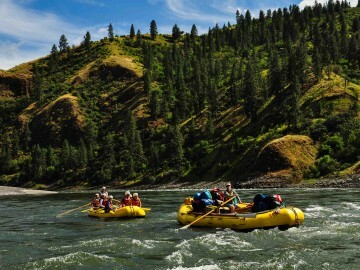 Idaho has 3,100 miles of rivers. Isn’t that reason enough to go? You may not fish from a camel’s back in Idaho. Hopefully, this won’t keep you from visiting. Ernest Hemingway was an Idaho fan. He arrived in Sun Valley in 1939 to work on his novel, For Whom the Bell Tolls, because it offered wide open spaces for hunting, skiing, fishing and other outdoor activities. 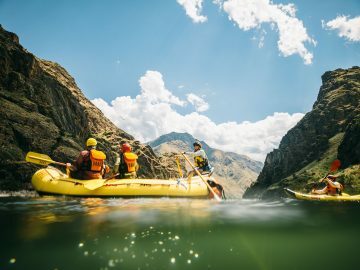 At 7,900-feet-deep, Idaho’s Hells Canyon is the deepest river gorge in North America. That’s deeper than the Grand Canyon! A treasure is said to be hidden in Beaver Canyon that has never been located. The buried cache is said to be that of the Montana sheriff turned outlaw, Henry Plummer. Maybe you’ll find it? You can look into four states from Heaven’s Gate Lookout located in Seven Devils’ Peaks. In Pocatello, a person may not be seen in public without a smile on their face. But from what we’ve seen, that might be true of the whole state.